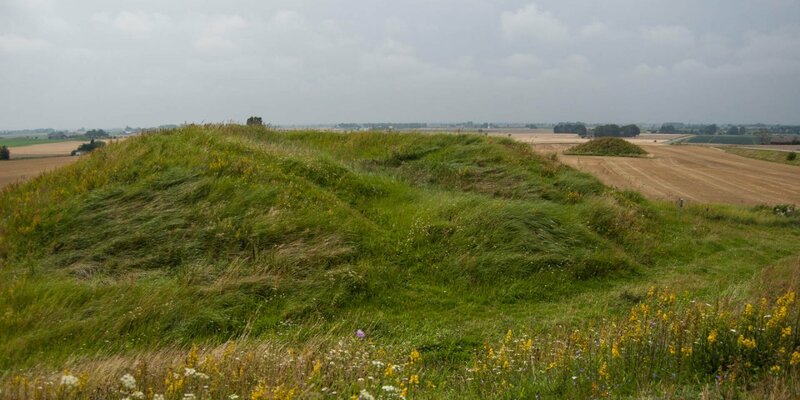 Skegriedösen is a 5,000 year old megalithic tomb from the Neolithic Age. 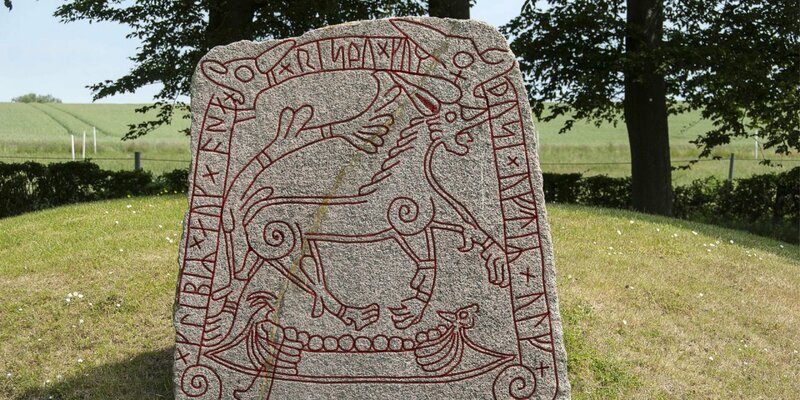 It is located on the edge of the town Skegrie, about 9 kilometers west of Trelleborg. 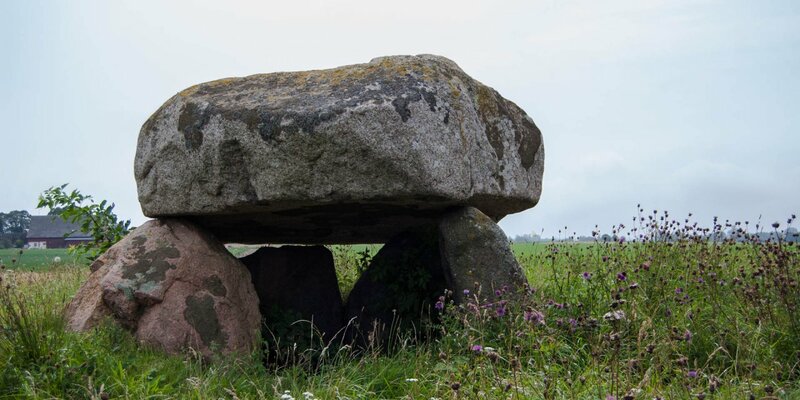 The tomb Skegriedösen has a rectangular shape, which is formed by two slightly larger stone blocks for the longitudinal sides and two smaller blocks for the head sides. One big boulder is the roof the grave. Around the tomb runs an enclosure made of a total of 17 smaller boulders which are arranged in a rectangle. 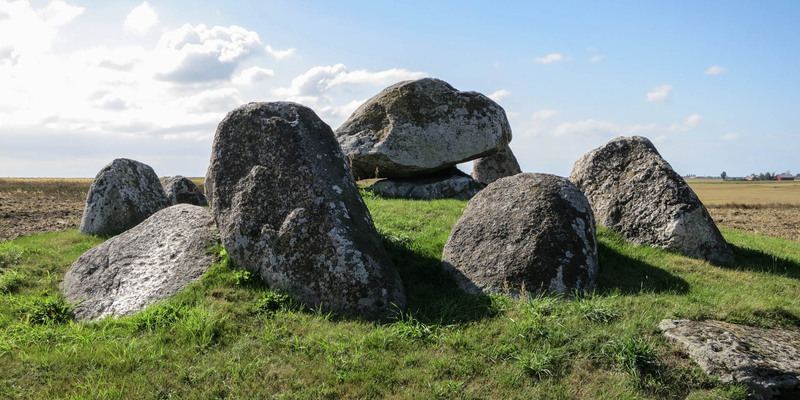 Because of the shape and the low roof, archaeologists believe that this is one of the oldest tombs of the Stone Age. Skegriedösen is easily accessible on a meadow, just a few meters away from a parking bay at the road.